Eight-fifteen in the morning is prime time in the radio business. It’s the heart of the so-called “morning drive” period, when stations fight to grab the captive commuter audience with their most popular programming. A spin across the radio dial in Washington at 8:15 a.m. offers proof: Top-rated WPGC-FM is playing En Vogue’s soulful “Part of Me.” WMAL-AM morning mainstays Harden and Weaver are joking, with appropriate sound effects, about a news story concerning a stolen train. WWDC-FM’s Greaseman is crooning a bawdy song that pushes the boundaries of good taste while titillating his largely teenage male audience. And WJFK-FM’s outrageous Howard Stern is being, well, Howard Stern. This is not the usual morning radio fare. But WPGC-AM doesn’t sound much like other local stations the rest of the day, either. Once one of Washington’s most popular Top 40 rock stations, WPGC-AM now is trying to scratch out a niche in the hotly competitive local radio market by offering listeners a business-news format. Instead of Madonna, Guns N’ Roses or Sinead O’Connor, listeners get regular reports on local and national business stories, investment tips and constant updates of the Dow Jones industrial average. Some people might think that’s about as exciting as listening to grass grow, and truth be told, sometimes that’s true. But personalities like Chaconas, a one-time stand-up comic, bring some life to WPGC-AM’s steady diet of business news, and the station generally gives listeners a fairly comprehensive if not very deep overview of top local and national business developments. “This is Business Radio 1580,” Chaconas said the other morning, leading into a newscast that included stories about a real estate deal for a new National Aeronautics and Space Administration headquarters building in Washington, a North Carolina bank’s reported effort to buy First American Bank and Sovran Bank’s decision to increase the supply of mortgage money to the District. Later in the broadcast, there are phone interviews with local brokers who provide reports and opinions on stock and commodity markets. And in connection with a charity promotion the station is running, Donna Francavilla, WPGC-AM’s program and news director, does a live on-air interview with a corporate lawyer who has been listed as one of Washington’s top bachelors. “We’re trying to make our programming a little broader and … a little more interesting,” she said later. WPGC-AM’s almost two-year-old business-news format, which is similar to those adopted by a number of other AM radio stations around the nation recently, reflects an ugly fact of life in the radio business: AM radio is practically a dying medium. Specialized formats are one way that AM stations are fighting back. In addition to all-business radio, some stations around the nation are experimenting with 24-hour sports, ethnic offerings or even children’s programming in an effort to carve out a niche. And that niche might be pretty small — WPGC-AM’s audience doesn’t even register in ratings surveys. But that doesn’t faze station officials, who believe they’re reaching an affluent audience that ratings services don’t count well. “I know the tiny audience I have is a real high-quality audience,” Hill said. It’s the kind of audience that’s coveted by advertisers on the station like luxury automakers Audi, Infiniti and Jaguar, airlines Lufthansa, KLM and United, brokers Merrill Lynch and Prudential Bache and retailers Raleighs, Egghead Software and J.C. Penney. That’s the cream of the crop. The station also carries local and network advertising for all sorts of get-rich-quick investment schemes involving sugar futures, precious metals and the like. Commercial time on the station costs $10 to $80 for a 30-second spot, a tiny fraction of the price on a more popular station. Nonetheless, Hill concedes that WPGC-AM has had “to kick and scratch for advertisers” because of its slim popularity. However, he said, the station is making a small profit, in part because much of its overhead can be absorbed by its highly profitable FM partner, which operates out of the same facilities in Greenbelt and specializes in what is known as “urban contemporary” music. The success of the two stations is good news for WPGC-AM and WPGC-FM’s owners, whose background is even more unusual than the AM station’s format. The stations are part of a chain owned by Cook Inlet Communications Inc., a group made up of a New York investment firm and several thousand Native Americans from Alaska who have invested a windfall from Alaska oil production in real estate, oil and gas, oil field services and one of the nation’s largest minority-owned radio and television chains. Cook Inlet bought WPGC-AM and FM in 1987 as part of a large chain of radio and television stations it purchased for several hundred million dollars from the Marriott family’s First Media Corp. At that time, WPGC-AM was broadcasting the same programming as WPGC-FM — a leftover from the 1960s and 1970s, when the AM station was one of the most popular stations in town and the FM side was sort of an afterthought. But as FM radios proliferated in cars and homes and listeners discovered how much better music sounded on FM, the two stations followed the industry pattern, with the FM rising to prominence and the AM receding. By 1988, WPGC-AM’s ratings had sagged to 0.3 percent of listeners in the Washington market, and Hill — who also had run WPGC-AM and FM under the previous ownership — wanted to try something different to find an audience for the AM station. 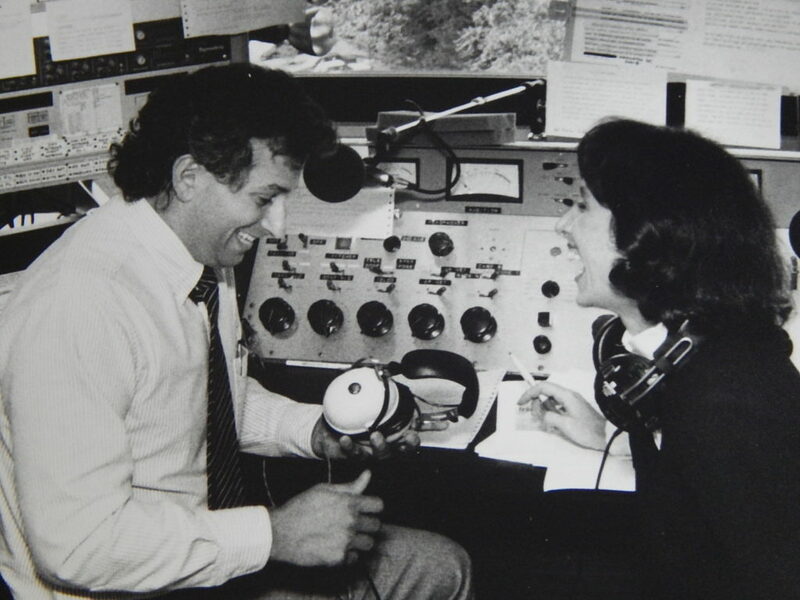 “Business Radio 1580” went on the air in October 1988, at first heavily reliant on network programming but now a mix of locally produced, syndicated and network features. An hour of programming generally includes at least four minutes of local business news developments, most of it rewritten from The Washington Post and other newspapers; features on local business produced by station staffers; contributions from correspondents in local brokerages and elsewhere in the business community; commentary from local conservative firebrand Lester Kinsolving and others; national business and stock market news from BRN and another network, Financial News Network; and national news, sports and weather from Associated Press Radio. There are plenty of traffic reports, on the theory that local business people spend a lot of time in their cars going from appointment to appointment. On weekends, the station offers a variety of business call-in and investment advice shows, and evenings and Sundays feature the station’s only departure from business — sports talk shows that Hill and Francavilla think attract the same audience as business programming. Francavilla, a radio news veteran who joined WPGC-AM shortly after it began the business format, has tried to increase the amount of local content and make the station sound like more than just a dry recitation of market figures and merger announcements. Another station highlight is a taped promotional plug that Francavilla coerced from Donald Trump: “When I’m in Washington, I listen to Business Radio 1580,” the embattled billionaire says. Ah yes, ratings. They’re usually the lifeblood of the broadcast business, but Hill and Francavilla claim they don’t care much about ratings. They argue that WPGC-AM has attracted a devoted core of listeners with an excellent demographic profile — mostly male, affluent, and between the ages of 35 and 54 — that appeals to advertisers despite the station’s statistically negligible ratings. The station’s call-in shows, for instance, garner strong response, according to station officials, proving that somebody is out there listening. WPGC-AM, with a powerful 50,000-watt signal that covers the entire Washington area, is competing for those listeners with a number of other local radio and television stations that have regularly scheduled business programming. Most notable is all-news WTOP-AM, which offers two-minute business news summaries twice an hour and has a full-time business editor, longtime Washington broadcaster and businessman Frank Barnako. WTOP has one big advantage over its smaller rival — it’s on 24 hours a day. WPGC-AM is licensed under Federal Communications Commission “daytime” rules, which require it to sign on after sunrise and sign off at sundown — a real disadvantage in the dead of winter, when 7:30 sign-ons and 4:45 sign-offs cost the station much of its drive-time audience and give it barely enough time to cover the business day. However, the station recently won preliminary approval to broadcast around the clock, and Hill said it likely will expand its hours later this year, adding additional business and sports programming. In the fall, the station plans to broadcast University of Virginia football games on Saturday afternoons. Still, WPGC-AM’s ratings likely will never touch those of WTOP, which, along with WMAL, is one of a handful of highly successful AM stations remaining in the Washington market. Station officials agree with broadcast-industry consultants that the business format likely appeals to a very narrow slice of the audience, though it is an audience that may be attractive enough to advertisers to make all-business stations like WPGC-AM tidily profitable over the long run.